Help raise funds for Denver East Lacrosse when you buy your groceries at King Soopers. King Soopers has a new easy, friendly process. You simply link your SooperCard to Friends of East-Manual Lacrosse and we will receive a percentage of all purchases! King Soopers Community Rewards donates to local organizations based on the shopping you do every day. Once you link your card to an organization, all you have to do is shop at King Soopers and swipe your SooperCard! You must present your SooperCard or provide your Alternate ID at the register during the transaction for it to count toward the program. A digital account is needed to participate in King Soopers Community Rewards. If you already have a digital account, you will need to ensure you have a SooperCard linked to your account so that your transactions apply toward the organization you choose. How do I select an organization to support? 1. Sign in to your digital account (or create a new one). 2. Go here to search for your organization. 3. Enter Friends of East Manual Lacrosse or RS146. Your selected organization will now display in the King Soopers Community Rewards section of your account, and you can always find more details, like the total you earn each quarter, under your Account details. Any transactions moving forward using the SooperCard number associated with your digital account will be applied to the program. It takes approximately 10 days for your Community Rewards total to begin displaying on your receipt. 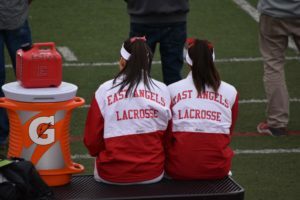 Denver East Lacrosse is hosting Alumni Appreciation Night at Denver East HS on Friday, April 26, 2019. All three teams will take the field against Lewis-Palmer HS - see schedule below. A food truck will be available for all. Sponsored by Friends of East-Manual Lacrosse. Purchase your 2019 Program Ads Now! It’s time to purchase your commemorative 2019 spring season ads. Don’t miss this wonderful opportunity to support Lacrosse at Denver East High School! 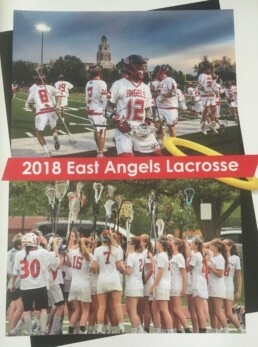 The Denver East HS Lacrosse Program is a professionally produced, full-color publication filled with photos and information about all the Lacrosse teams at Denver East HS. It is the perfect souvenir for the 2019 season! Consider your own ad or joining with other individuals or families; you can share a special message, words of encouragement and any fond memories of seasons past. Additionally, feel free to reach out to local businesses to buy and place ads. Programs are distributed to all Denver East Lacrosse families at the end of the season at no additional cost. We look forward to seeing your creative support of all Denver East Lacrosse teams! Stop by for our fundraiser on Wednesday, April 17 anytime from 11am to 9:30pm for some fresh, healthy Indian food and they'll donate a percentage of the proceeds to Denver East Lacrosse and your Friends of East Manual Lacrosse board! 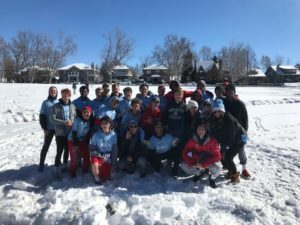 Denver East Lacrosse players participate in a myriad of activities outside of lacrosse, representing not only the team but also Denver East High School at large. Players on the team are part of Student Council, the Athletic Leadership Council, Key Club, Sustainability Club, DECA, Model UN, the Spotlight, East Angelus, and Angels on Air. In the video clip below from Season 6 Episode 22 of Angels on Air, Junior defender Harrison Mead shows that lacrosse players have talent off the field too. 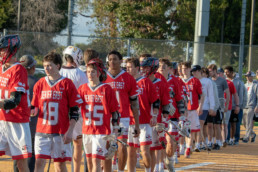 Denver East Boys' Varsity Lacrosse returns Tuesday, March 26 from San Diego, CA after two games against the Francis Parker School and Cathedral Catholic. 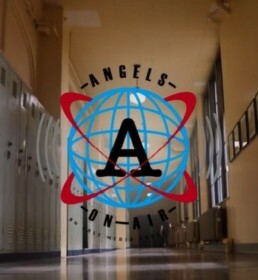 Saturday, March 23, the Angels defeated the Francis Parker Lancers with a score of 16 to 4. Three Angels had hat tricks on Saturday: Sr. Clayton Finley-Ponds, Jr. Elijah Bruggeman, and Fr. Jackie Freeman. Other Angels scoring at Francis Parker included Jr. Duncan Lewis (2), Sr. Cole Finley-Ponds (1), Sr. Tate Hudgins (1), So. Andrew Tan (1), So. Gus Morgan (1), and So. Will Grawemeyer (1). Denver East faced a tough competitor on Monday night at Cathedral Catholic. It was a great match that ended in a disappointing 7-8 overtime loss. Fr. Goalie Sam Perez had a tremendous game, as did So. Will Grawemeyer at face off. Jr. Elijah Bruggeman scored the first goal of the game, and Jr. Duncan Lewis and Fr. Jackie Freeman led the scoring with 3 apiece. The Denver East Varsity team is now 3-3 as they return to the field at an away game against the Wheat Ridge Farmers on Wednesday, April 3rd at 7:30pm at Trailblazer Stadium. This game will be available to stream live on NFHS Network. Every year Denver East Lacrosse conducts a donation based fundraiser through Snap! Raise. This is their largest fundraising event. provide financial assistance to players who otherwise may not have the opportunity to play lacrosse at East. Stop by the Denver East High School Boys Lacrosse page to make your donation today! 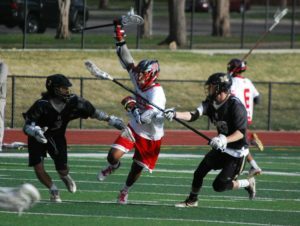 Denver East Lacrosse boys and girls teams will open their 2019 Spring seasons at the annual DPS Mile High Shootout held at All City Stadium. The Girls Varsity team will play Pine Creek on Thursday, March 7th at 5pm. Friday, March 8th the Boys Varsity team will open up against Boulder High School at 5pm. Games will continue on Satuday with JV Girls vs Pine Creek at 8am and vs Cherry Ceek at 1:30pm. JV Boys will play Boulder at 10:30am and Rock Canyon at 5:30pm. Winners from Friday night's games will play Saturday at 2:30pm (Boys) and 5pm (Girls) in the Championship games. All lacrosse fans can park in the main lot for the All City Stadium Complex (1560 S. Franklin St. Denver, CO 80210). Ticket purchases and entrance to the stadium for fans will be at the normal location on the west side of the stadium only. The parking entrance for fans will be 1560 S. Franklin St. Denver, CO 80210 (S. Franklin St. & E. Florida Ave.). Seniors August 'Mustang' Sally and Cole Finley-Ponds signed their NLIs today. 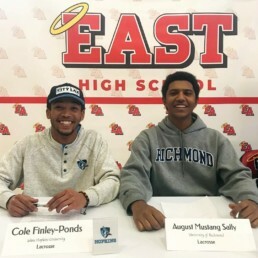 Congratulations to both on joining the ranks of Denver East players at the collegiate level! Mustang Sally is a four-year Varsity letterman. He is a two year First Team Colorado All-State player and a three time South Suburban League All-Conference player. He led the team in goals and assists his Freshman, Sophomore, and Junior years. He is nationally recognized as an Adrenaline All-American, Maverik Showtime All-Star, and two time member of the Under Armor Regional All-Star Team. Mustang will be attending the University of Richmond. Go Spiders! Cole Finley-Ponds is a four-year Varsity letterman and served as a Team Captain in 2018. He is was a First Team Colorado All-State player last year and an Honorable Mention the previous year. He is a three time South Suburban League All-Conference player. He is nationally recogized as an Adrenaline All-American. Cole is also Denver East's Head Boy this year. Cole will be attending the Johns Hopkins University. Go Blue Jays! 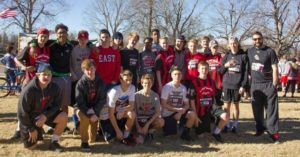 Denver East Lacrosse is running for it's 5th year in the Denver City Lax Dash on Sunday, February 10 in City Park. Each year Denver East Boys and Girls Lacrosse run the City Lax Dash 5k to support our friends at Denver City Lax - and to have fun competing while we do it! 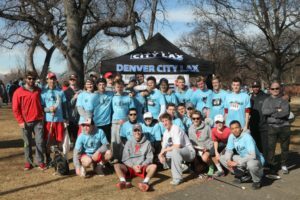 By sponsoring a runner, you help raise funds to support Denver City Lax and their mission of the creation of educational and enrichment opportunities for youth in underserved Denver neighborhoods through the sport of lacrosse. 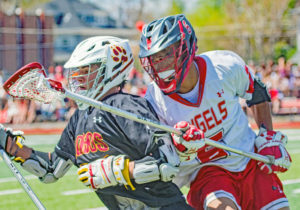 Many Denver East Lacrosse players, both former and current, are City Lax alumni. 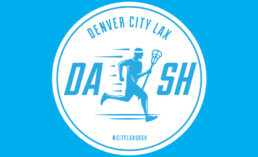 We are thankful for this important program and proud to support Denver City Lax on February 10, 2019 at City Park running the City Lax Dash. To support one of our runners, go to the Denver East Boys team page. Remember: any amount helps Denver City Lax meet their goal!